At Long Family Dental, we offer a variety of cosmetic dentistry options to enhance the beauty and function of your smile. After nearly 50 years as a dental practice in Cleburne and now Midlothian, we have a legacy of smiles under our belts! Usually, the upper teeth show when smiling while the lower teeth remain hidden. This is reversed when talking, with the upper teeth remaining hidden while the lower teeth show clearly. The color, alignment, and spacing of the teeth are the characteristics that give an overall impression. If you have cracked, chipped, gapped, missing, or stained teeth, our team can easily correct these flaws with cosmetic dentistry. 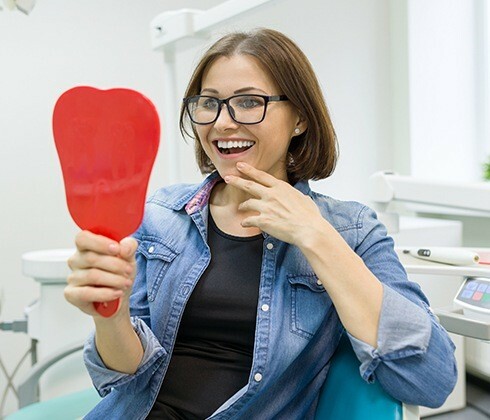 Cosmetic dentistry can be used to correct imperfections throughout your smile, including whitening your teeth to remove yellow, gray, or brownish stains. If you’re unhappy with your smile, then Dr. Bob and Dr. Chris can work with you to decide the best enhancement options for your personal goals. Contact us today to schedule a consultation at either of our practices. Why Choose Long Family Dental for Cosmetic Dentistry? Porcelain veneers can be used to enhance a single problem tooth or completely makeover your smile—it’s all up to you. Thin, custom-made ceramic coverings are bonded to the front of the teeth that are designed to look like pristine enamel, and they can be used to eliminate stains, chips, cracks, and gaps. The process to get them only takes two appointments, but you’ll be amazed at how big of a difference they can make for your overall look. Thanks to the latest dental materials, our team is able to repair the teeth in such a way that it looks like nothing was ever wrong with them in the first place. 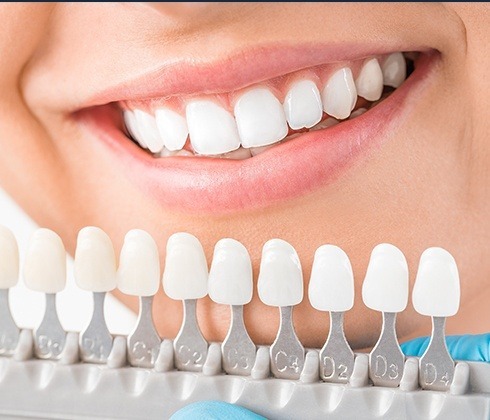 Using all-porcelain crowns and bridges, we can restore function to the smile and help someone improve their appearance at the same time, delivering the best when it comes to both strength and beauty. These restorations are able to recreate the appearance of enamel down to the smallest detail, even reflecting light in the same way. Tooth whitening is a popular procedure to make teeth whiter and brighter, and therefore more attractive. Professional bleaching gels are used to erase stains, brighten discoloration, or simply to enhance a dull-looking smile. Tooth whitening is a safe and relatively painless procedure ideal for most patients. At Long Family Dental in Cleburne and Midlothian, we offer our patients the convenience of a take-home tray whitening system. It’s a less expensive whitening treatment you can use to gradually whiten teeth. We take an impression of your teeth to create a customized clear tray to wear and give you a professional-grade whitening gel. The whitening gel trays should be worn 30-60 minutes up to twice a day. After about two weeks of bleaching, you will see maximum whitening results that are nothing short of dazzling. Occasional treatment can be used at your convenience to maintain your new smile!